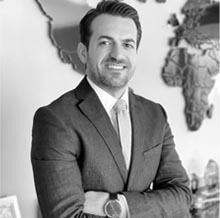 Attorney at Law Engin Çağlar Ergün was graduated from Ankara University Law Faculty in 2003. He completed his apprenticeship period in Ankara Bar and performs his profession in Antalya Bar. He has Ankara University Intellectual and Industrial Rights Institute Intellectual and Industrial Rights Program Certificate and TOMER English for Law Translation Certificate. He is particularly interested in Commercial Law, Obligations Law, Intellectual Property Rights, Property Law and continues with his masters degree education at Ankara University Social Sciences Institute Commercial Law Chair. He speaks English at advanced level and German at intermediate level.